Slow release, scented ready to use spray. There is nothing more frustrating than spending time maintaining your borders or vegetables bed only to step outside and see your cat or dog, or your neighbours pet has been tearing up freshly planted seedlings, digging holes or fouling the soil which can be harmful and toxic to plants. 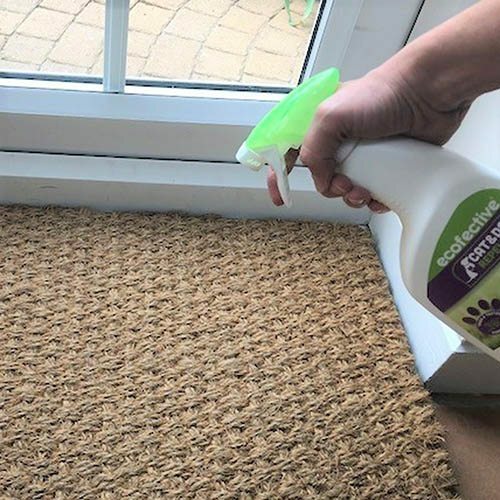 ecofective ready to use Cat & Dog Repellent spray and crystal gel offer an effective treatment, to discourage cats and dogs from fouling or from using faeces and urine to mark their territory. The slow release, highly scented formula uses Methyl Nonyl Ketone which is proven to deter cats and dogs from treated areas. Derived from natural ingredients, its citric smell deters cats and dogs from fouling where they shouldn’t and can be used in conjunction with toilet training, so they only go where they are supposed to. For best results apply Cat & Dog Repellent regularly to start the re-training process. Once your pet has learnt to mess elsewhere continue to use the repellent at a much lesser dose to always keep pets at bay.